New Mostly Ghostly Tour Set to Launch at The Crichton! Home Entertainment New Mostly Ghostly Tour Set to Launch at The Crichton! 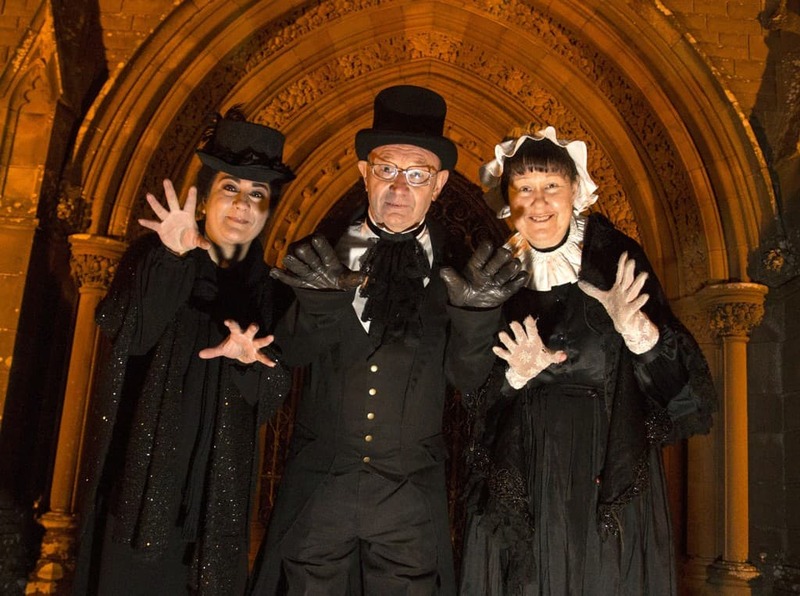 Following the overwhelming success of the Crichton Crypt Tours, which launched last October, Mostly Ghostly Tours are preparing to launch a brand new venture geared towards children and families. The award winning team, who are proud to be working in collaboration with The Crichton Trust, are keen to encourage and expand young people’s interest in history. The team have welcomed over 500 people to their hugely popular tours of the Crichton Church and Crypt and hope their latest venture will appeal to a wide range of people. Guests will meet Elizabeth Crichton, the hospital’s remarkable founder, brought to life by Mostly Ghostly’s Mary Wood, and discover the fascinating past of Crichton Hall, before learning what life was like in the old Southern Counties Asylum. From the early beginnings of The Crichton Royal Farm to the story of how patients escaped a deadly epidemic, there’s much to enthral visitors. ‘We love working with young people and guided a series of mini Crichton tours for school groups at the 2018 Big Bang Fair. This year, we’ve been exploring more ways of engaging with younger guests and felt The Crichton would be a fantastic location to explore in more details, giving guests a chance to enjoy beautiful surroundings, amazing architecture and unique history’.